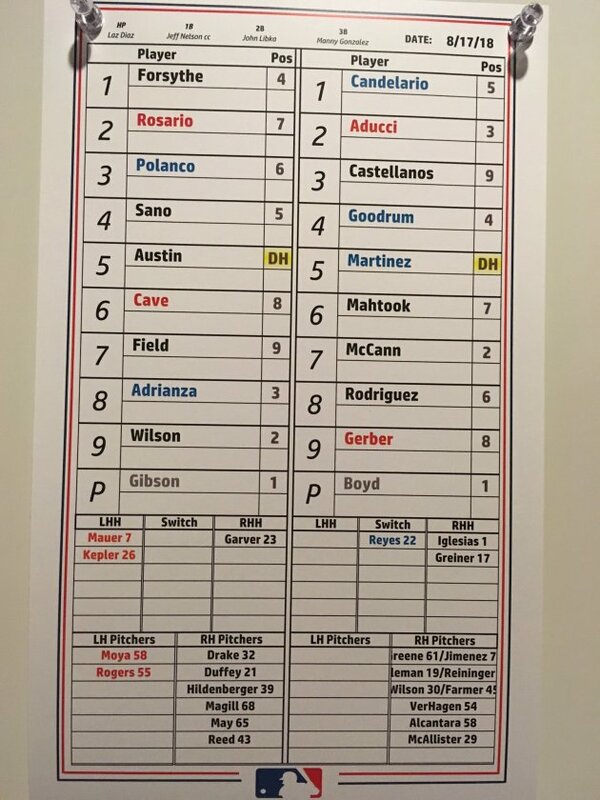 The Twins and Tigers, after last night's marathon battle, are back at it for a 7:10 p.m. game at Target Field. Kyle Gibson (6-9, 3.49 ERA, pictured) pitches for the Twins against lefty Matthew Boyd (7-10, 4.20). Twins manager Paul Molitor said that Adalberto Mejia is totally shut down and is not undergoing any treatment for the nerve issue in his left arm. "I don't think there's much they can do right now," Molitor said. "He's going to take some medication to help with the inflammation." The Twins will continue to run tests to determine how the arm recovers. But it looks more and more that Mejia's chances to pitch again this year are slim. Michael Pineda has reached the final checkpoint on his way back to the majors. The righthander, who has missed the entire season while recovering from Tommy John surgery, is headed to Class AAA Rochester. "Right now, he's scheduled to make three starts at Rochester," Molitor said. Pineda will pitch four innings in his first two outings then the third outing, which is tentatively scheduled for Aug. 31, he will throw either five innings or 75 pitches. That will bring him up to the time rosters can be expanded in September. In his outing on Thursday for Class A Fort Myers, Pineda gave up one run over three innings on two doubles while striking out a batter. His fastball averaged 93 miles an hour.